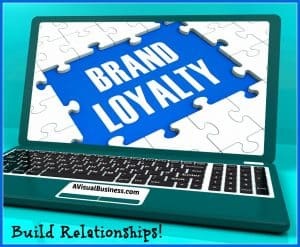 You are here: Home / blog / Brand Loyalty >>it’s in the Relationship! Brand Loyalty >>it’s in the Relationship! A friend of mine posed a question on Facebook yesterday about loyalty. She asked her friends if they thought it was dead or if there were truly loyal people out there. She went on to say that for her, she is loyal to a business, organization and person if they have spent time with her, helped her or the like and that she would in fact stick with that brand or person. She lastly indicated that she wouldn’t go the cheaper route or distance just for those reasons because she was loyal to the other brand/person. Is loyalty dead and gone? So, is loyalty a thing of the past? My response was more along the business relationship as I see loyalty goes more hand in hand with that type of relationship and my friendships weren’t necessarily out of loyalty but out of trust and friendships are more emotionally built. Anyways, I indicated that loyalty comes from a consumer buying a great product or service at a price that was something of value for the dollar and with that would be excellent customer service. I don’t want to be seen as customer #1234 but as an individual customer, the only customer, that if I had problems with their product, that if I needed to return the product or wanted to buy more, that if I wanted to upgrade or had concerns, I could call the company up and I would be taken care of as if I was just as special as the first time sale. On that note, it bothers me greatly where companies treat new customers better because they are trying to get the sale, but once they have you, you are of less importance, and they already have your money or that monthly fee. So again, if you sell a product, follow that up with great customer service as in a follow up to a purchase, providing an easy no hassle return policy, provide a person on the phone (automated is quite irritating, especially at this point, you are needing help, not information) to help navigate your issue, concern or question about the product. Another way is to continue to be an innovative business and to constantly provide more value to the original product by providing sales in add-ons for that first product, things that complement the product and upgrades. There shouldn’t be a number set on how well you are treated. Meaning if you bought a $50 product versus a $5000 product, it shouldn’t depict how well you are treated in the process or after. You never know if that $50 person will later buy 5 more as a gift, or continue to buy every product you offer or the like. You can’t determine that and heck, it is so much easier just to provide a good experience to everyone, where possible, don’t you think? Think about “loyalty cards” that you get from darn near every store you go to. They offer you discounts, they offer buy 5 get one free punch cards, rewards when you spend so much money and the offers continue. It isn’t making you loyal but it is offering you a reason to want to come back. How can YOU build loyalty with your customers? So, my question for you is… what can you and your business do to encourage past, present or future clients/customers to want to do business with you and continue past that initial sale? How will you make your business so great that consumers will want to be loyal to your product, service or business? Remember, that people who like doing business with you will tell their friends and that is free marketing for you and your business. How is that for win-win? This post has less to do with the specific services that I provide in search engine optimization, social media marketing and paid advertising, per say, but more about how you can be more valuable to your consumers. Please know that I value the relationships that I have with people and want them/you to continue to come back. Plus, with my social media marketing, I want to present your brand in a manner that provides a value to your consumers that they will want to continue to do business with you! Thank you for reading, I’d love to see/hear what you have to say about my questions I posed to you. Great customer service and follow up are key to gain customer loyalty. People remember that extra mile or that above and beyond effort you made for them. Agreed… I surely know I remember who made that extra attempt, whether I am paying for it or not. This is so true! I have a friend who’s self-employed and she always slacks when providing services for her clients who pay for the cheaper packages as opposed to the more expensive ones. It drives me crazy, because people are still giving her their hard earned cash. If people are trusting you to do a job, then you need to provide a high level of service and keep your promises, regardless of the amount that is paid. Anything less is a sure way to kill customer loyalty, and you can say goodbye to any repeat clients or possible referrals. Yes, it’s true though, you never know if that person could refer to her 10 other people and outweigh that one “more expensive package” client. I agree, a loyalty killer in the making, she’d best be careful. Every customer should be valued. I love what you said too like Patricia said about if you are treated as a one time sale then you are not going to come back and I don’t blame you. I don’t either. Great customer service is going to lead to repeat sales for sure. Great post! Thanks, yes Heather, repeat sales is important and just as important is the referral traffic as well.. think about that! 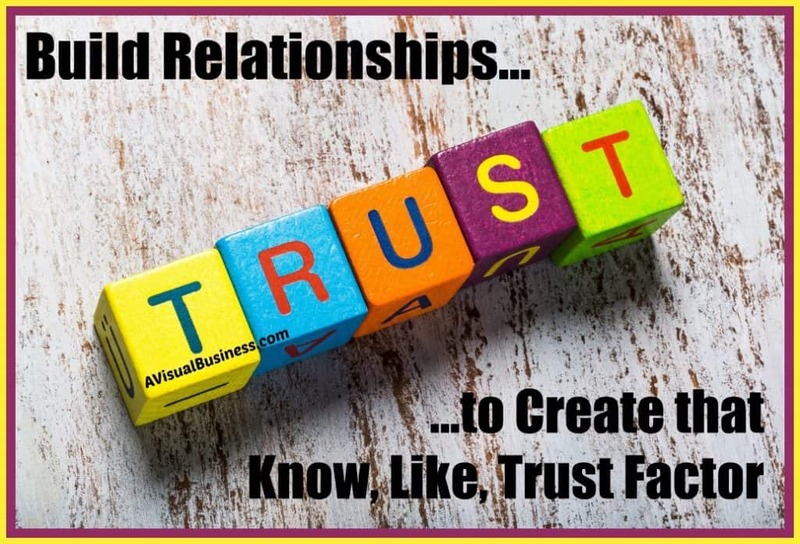 It’s all about relationship marketing, not being salesy. You need to give as well as to sell. Show your customers that you care about them. Send a helpful tip or share an appropriate story or cartoon. Exactly, it isn’t always what you give but that you give. Ie, a thank you note is just a piece of paper (essentially) with words on it and a stamp, not a high cost value, but a lasting value they will remember, for sure. One of the things I did before I sat down to describe my ideal client was to write down why I am someone else’s ideal client. It was a real eye-opener for me. Quality and customer service were by far the top two criteria, and loyalty fits under both categories. As long as I’m treated well and the company continues to produce quality goods/services, they’ve got me forever. That was a great realization for you Jackie and I’m glad you were able to see why you are someone’s ideal client as well as what yours was to help you determine how to better provide for your customer. Excellent! Best way is to make sure your clients/ customers are always satisfied, make them feel important. 😉 thank you for sharing this! There are so many different ways to reward your clients, but the punch card may be something that you do for your locals, so you don’t have to keep track of it, then determine the savings and give your out of town folks something of value after a certain $ amount or something. I am sure you can figure something great to reward them and keep them coming back. True, evidently you are doing something right, but after 10 years, have you changed a brand before. I often think of marriages that die after 20-30 years. I wonder what happened and what changed, or maybe they woke up… so in our businesses, we have to keep on top of it so our clients don’t wake up and change their mind! I agree that loyalty boils down to the relationships that one has, but additionally, providing high value where it’s a win-win situation. Excellent Marita, you did the right things! Good job! Thanks again! Glad to have found your blog. Thanks Jean for stopping by and taking the time to comment. And you are right, with all of these tools aside, it is just us, the product/service and the consumer and we are working for them, so make it a great experience. Thanks again! Great customer experience no matter how large or small creates customer loyalty. That extra mile goes a long way. But that personal touch is what really gets me. Knowing that there’s a person and NOT a corporate bot behind it makes all the difference in my own loyalty, no matter what the company or product. So very true Mona… I am with you! Well said. Fostering relationships and finding the gem in people and their children is the best part of my job. We all have gifts and we all have our burdens. Letting my clients know I care about theirs makes all the difference and results in rewards of all kinds. Thanks so much Armonie! I appreciate you taking the time to drop by and leave a comment.